Arrive in Sungai Penuh and head straight to your homestay to meet the family and drop off your things. 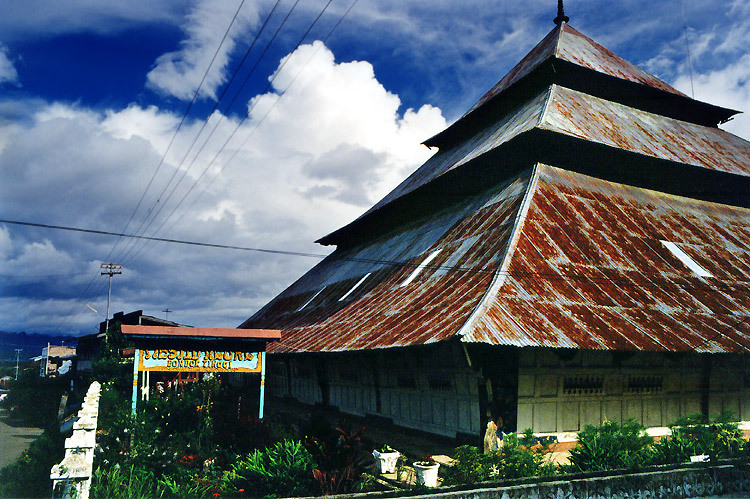 Walk through the old neighborhood of Pondok Tinggi filled with traditional Kerinci longhouses. Head to the nearby Mesjid Agung. Built in the traditional style in 1874, it’s the oldest mosque in town, and still actively used. 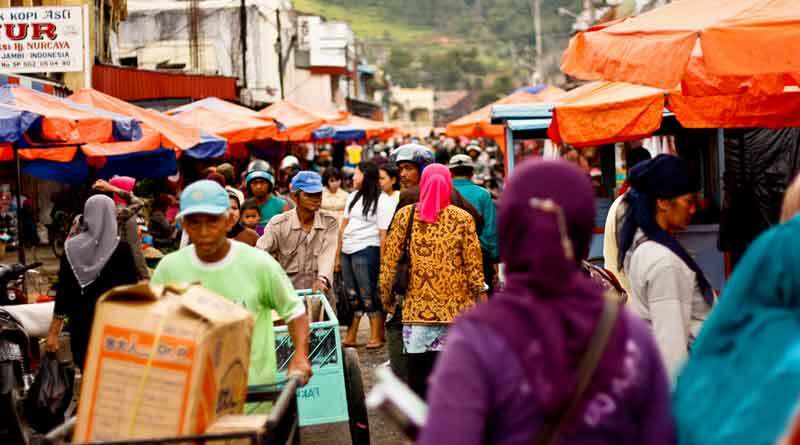 Visit the lively Pasar, or wet/dry market, in the center of town. Get some Sarabi and other goodies for breakfast. From the Pasar, grab a Bendi (horse drawn carriage) to some of the nearby batik workshops where you can watch the creation process (and maybe even participate!). Take a motorcycle ride up to Bukit Khayangan or hike up the hill behind Sungai Penuh to get a beautiful view of the Kerinci valley from Mt. Kerinci in the north, to Lake Kerinci in the south. 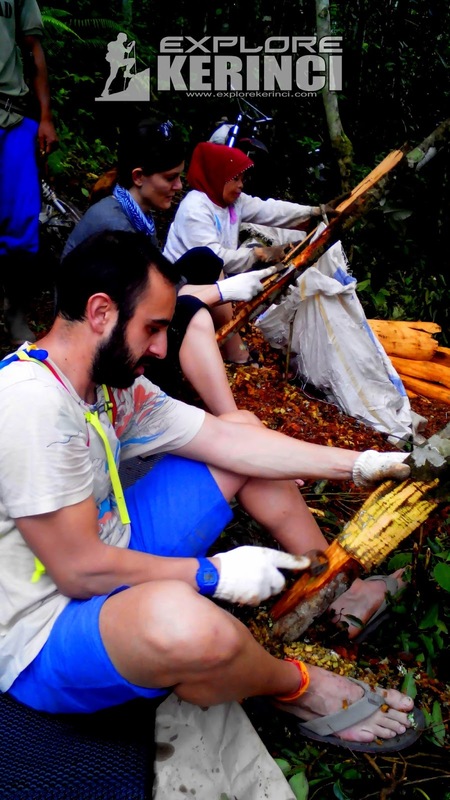 In the late afternoon, head to Bukit Sentiong on the edge of town for the grilled corn stands and a nice view of Sungai Penuh and the Kerinci valley at sunset. In the evening, visit Pasar Malam, the carnival-like night market, to eat Martabak, Sate, and other lovely street foods. Drive up to Tapan Hill at night for some wildlife spotlighting (an additional cost for renting a vehicle and driver). 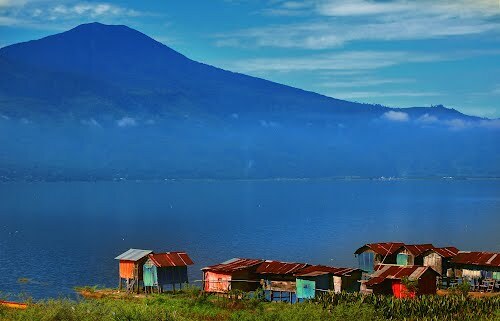 In the morning, head to the village of Pulau Tengah on the edge of Kerinci Lake. Meet up with some fisherman there for some canoe rides and to watch/participate with them as they fish. Visit an English class at the local high school in the village. Stop for lunch at one of the restaurants that sits atop or next to the lake. Head further south to the hills around Lempur to see cinnamon farmers at work. Explore the village of Lempur and the nearby lake of Danau Lingkat to take a ride on the bamboo rafts and enjoy the scenery. In the evening, follow a local honey hunter as they harvest honey from wild Indonesian honeybees. Meet up with your host family in Lempur and turn in for the night. 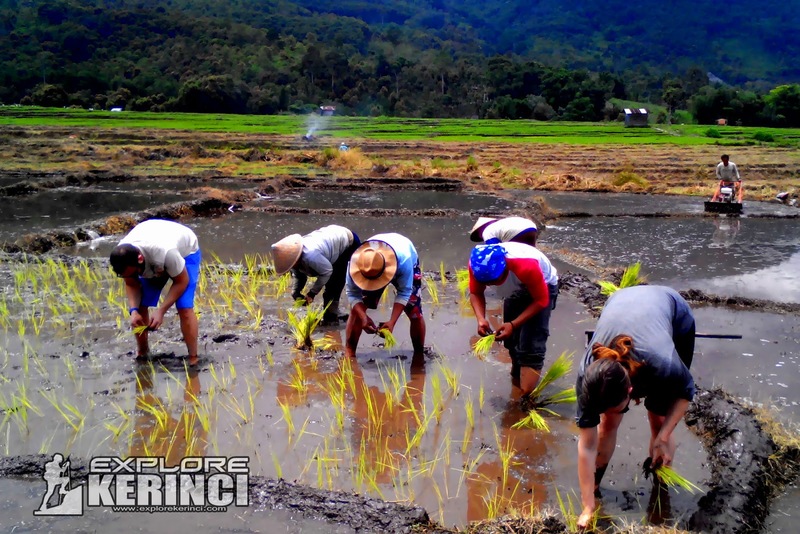 After breakfast, head to the rice fields to watch the farmers plant and harvest the Lempur heirloom rice Beras Payo. Participate if you want to get your hands dirty! Say goodbye to Lempur and head up to the Kayu Aro area. Don’t forget to pick up some Dendeng Batokok, grilled beef strips from heaven native to the area, in the town of Siulak Deras on the way up. Walk through the endless green tea fields and take a tour of the old tea factory in village of Bedeng VIII (Delapan). Eat lunch in Aroma Pecco, a small pond and oasis in the middle of the largest tea plantation in the world. Visit the sugar processing ‘factory’ (really just some people in a shed pressing and boiling raw sugar cane juice). Explore the coffee farms that are switching over to organic Arabica coffee with the help of a local NGO. Head to the village of Pelompek and meet your host family. Explore the village and check out the other highland farms in the area that produce cabbage, potatoes, chilis, etc. Head back to your homestay for dinner and turn in for the night.